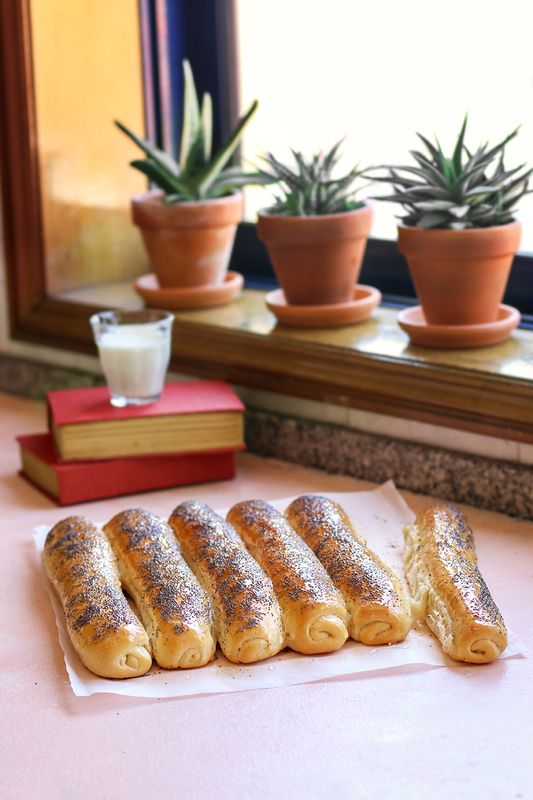 The smell of these breadsticks brought me back a rush of childhood memories. 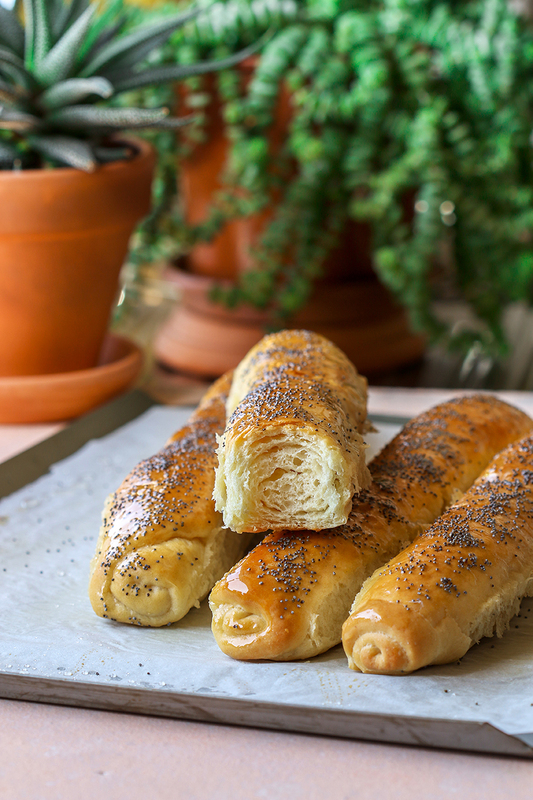 When i was a kid i used to have them for breakfast alongside a cup of milk or kefir but they are great with your morning coffee too.These are very popular among the bakeries in Romania and i can see why. They are fluffy,soft with a slight sweet flavor and the honey gives them a pleasing mild taste. Last week i spent several hours in the kitchen trying to reproduce those fluffy breadsticks my mom used to buy from the bakery. 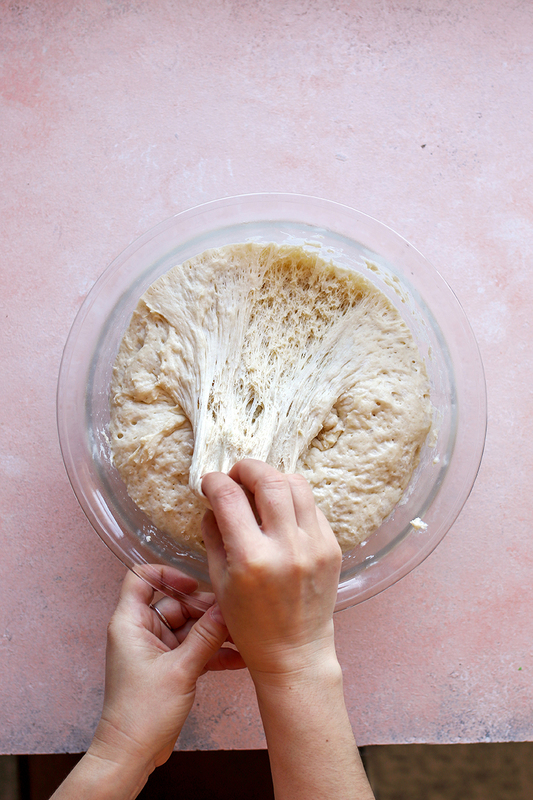 In order to achieve a soft texture the dough needs a lot of moisture and 75% hydratation worked fine in this case.The dough is a little sticky but soft and you can handle it rubbing some sunflower oil on the working surface and your fingers. 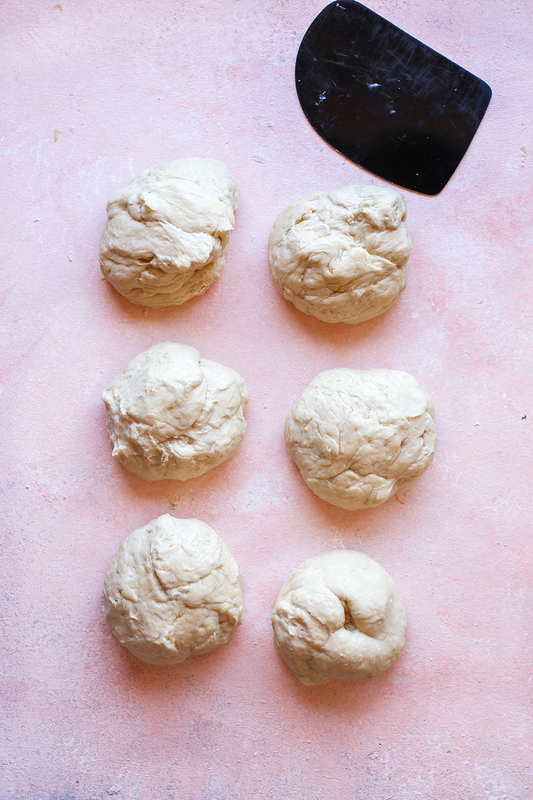 Don’t add more flour to the dough otherwise you won’t achieve the fluffiness you’re expecting for. There are a few steps to follow but they are all simple,the process is just like any yeasted sweet bread and if you'll follow the recipe you won't be disappointed. Place milk,sugar and fresh yeast in a medium bowl,mix well and let it sit for 10 minutes. After that time,put flour into a large bowl,add yeast mixture and melted butter.Mix with a spoon until roughly combined. Add salt and mix with your mixer on a low speed until smooth. Cover the bowl with cling film and allow to rise in a warm place until double in size ,about 2 hours. Lightly oil your work surface. 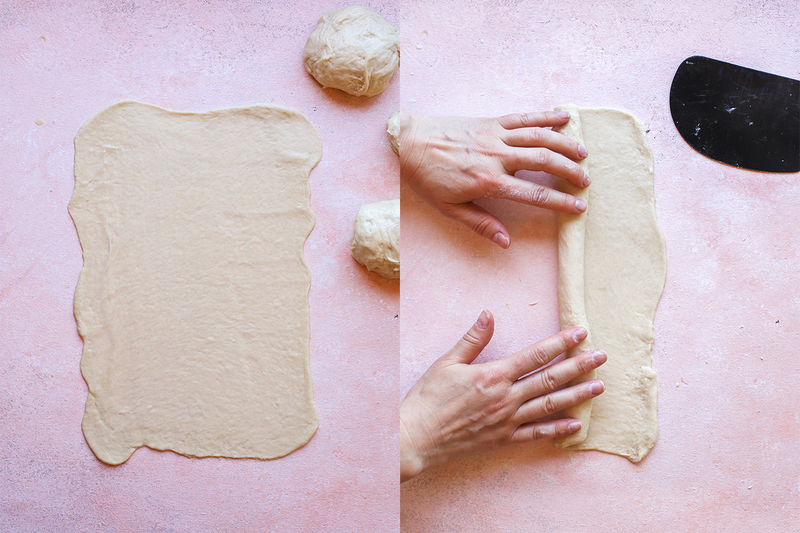 Turn the dough onto the work surface and using a dough scraper divide the dough into 6 rolls with 160 grams each. 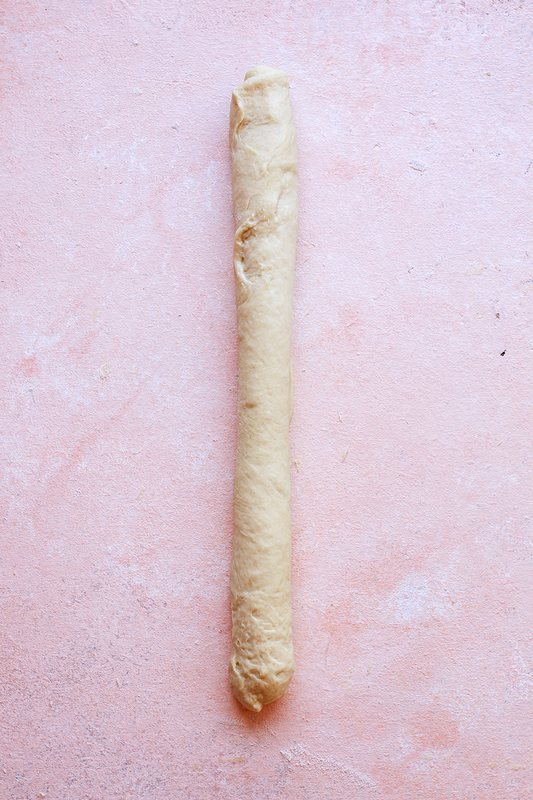 Using your thumb fingers gently roll the dough lengthwise into a stick. Place each stick on the tray. Ensure the final end of the stick is placed underneath and leave1,5cm between each.Gently cover with a towel and leave it to rise in a warm place for 20 minutes. 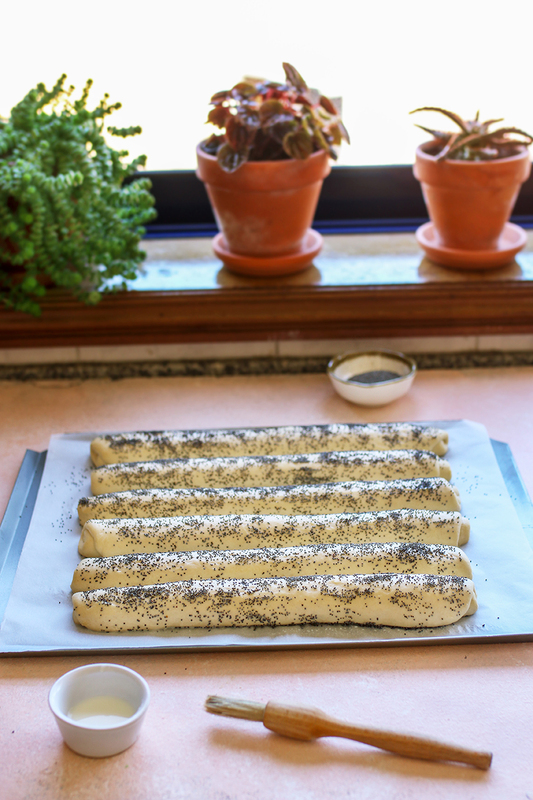 After that time,carefully brush each stick with milk and sprinkle with poppy seeds. Bake at 190ºC/375ºF for 40-45 minutes until golden bown on top. Remove them from oven and while they are still hot brush them generously with honey. Serve warm or cool.Store them in plastic bag up to 1 day. I really have to try these!! These are great for breakfast,i pretty sure you're gonna like them!